How do health care professionals diagnose gum disease? Gingivitis, the earliest stage of gum disease, is inflammation of the tissues surrounding and supporting the teeth and is most commonly a result of poor dental hygiene. Gingivitis is a very common condition and varies widely in severity. It is characterized by red, swollen gums that bleed easily when teeth are brushed or flossed. Gingivitis is not the same thing as periodontitis. Gingivitis always precedes and acts as a warning sign for the more serious condition of periodontitis. Bleeding of the gums is sometimes referred to as gingival bleeding, and it may occur during brushing or flossing. The soreness can be accompanied by swelling of the gum tissues. Most commonly, gingivitis is the result of plaque buildup on the teeth around the gum line. While gingivitis is inflammation of the gums around the teeth, periodontitis occurs when the bone below the gums gets inflamed or infected. Periodontitis derives from the word periodontal, which means "around the tooth" and refers to the structures that surround and support teeth such as gum and bone. Periodontology is the study of the supporting structures of the teeth. Gingivitis starts when food debris mixes with saliva and bacteria which, in turn, forms dental plaque that sticks to the surfaces of teeth. If dental plaque isn't removed by brushing with toothpaste and flossing, it can become mineralized and form tartar, or calculus. Tartar is very hard, and only a professional dental cleaning can remove it. Both dental plaque and tartar are filled with harmful bacteria, and if they aren't removed from teeth, they will begin to irritate the gums and cause gingivitis. If left untreated, gingivitis will often extend from the gums to the bone and lead to periodontitis. When the underlying bone gets infected, the gums will start to recede away from the teeth and form deep gum pockets. This is called attachment loss. These pockets readily collect plaque and bacteria. Because these pockets are very difficult to keep clean, more bone loss occurs. As periodontal disease progresses into later stages (early, moderate, and advanced) and more bone tissue is lost, the gum pockets are deeper and the teeth may eventually become loose and fall out. Hormonal changes in puberty, pregnancy, and menopause typically correlate with a rise in gingivitis. The increase in hormones causes the blood vessels in the gums to be more susceptible to bacterial and chemical attack. At puberty, the prevalence of gingivitis ranges between 70%-90%. Alcohol negatively affects oral defense mechanisms. Stress impairs the body's immune response to bacterial invasion. Mouth breathing can be harsh on the gums when they aren't protected by the lips, causing chronic irritation and inflammation. Medications such as antiseizure medications increase the risk for gum disease. Bad breath, or halitosis, is most frequently associated with gum disease. The oral bacteria that is present in the mouth release chemical gases called volatile sulfur compounds that have a strong odor. Bad breath can also come from the bacterial plaque that builds up on the tongue. When the plaque and tartar are removed from the teeth and tongue with regular brushing, flossing, and professional dental cleanings, the halitosis can be eliminated. This is the easiest way to reverse bad breath, but it can take a while for the mouth odor to completely disappear. A person needs to be consistent and persistent with oral hygiene to reverse the condition. As gingivitis progresses (chronic gingivitis), various complications may arise. If gingivitis advances to periodontitis, the affected person may develop receding gums or areas where the root of the tooth becomes uncovered by the shrinking, diseased gums. Deep pockets may also develop around the teeth that trap food, plaque, and debris. As periodontitis develops, the person may lose gum tissue or bone around the teeth and the teeth may become loose or fall out. These changes can develop either very slowly or very rapidly and can affect either a few teeth or the entire mouth. If oral hygiene is almost never performed or if the person becomes immune-compromised, acute necrotizing ulcerative gingivitis can develop (ANUG, formerly termed trench mouth). This is a painful condition where infected gums swell, ulcerate, and slough off dead tissue. In the case of dental implants, peri-implant disease occurs where bacteria can cause irritation, inflammation, and destruction of the surrounding gum and bone much in the same way that periodontal disease affects the surrounding structures of teeth. It is possible to have gingivitis or periodontitis and not notice any signs or symptoms, so regular visits to a dental professional are vital in determining a patient's specific risk level. The dentist is the primary care provider of the mouth and will be able to provide all of the facts and information necessary in diagnosing the disease and taking steps in treating gum disease. Measuring the gums: A dentist or dental hygienist will use a periodontal probe to measure the depths of the pockets around all of the teeth in the mouth generally once per calendar year. Healthy gums will have pockets 1 mm-3 mm deep. Beyond that, the deeper the pockets, the more severe the disease. Taking X-rays: Dental X-rays, particularly bitewing X-rays, will help show the level of the underlying bone and whether any bone has been lost to periodontal disease. Check for loose teeth: Teeth may become loose due to bone loss or an incorrect bite. The treatment goals for gingivitis are to identify and eliminate the factors that make the person more susceptible to gum disease. Most factors can be eliminated by establishing more consistent and thorough oral hygiene habits and professional dental cleanings. If there are certain risk factors such as smoking or uncontrolled diabetes that are contributing to the gum disease, they need to be addressed or eliminated to have success in reversing gingivitis. After the plaque and tartar are removed by a dentist or dental hygienist, the patient can usually eliminate gingivitis by brushing and flossing after every meal. Under the supervision of a dentist, a patient can use a prescription mouth rinse that specifically targets oral bacteria that cause gum disease. This is especially helpful in patients where conventional oral hygiene practices like brushing and flossing are impaired due to age or special needs. In individuals where gingivitis has led to periodontal disease and there are deep pockets that are difficult to clean, the patient may require deep scaling and root planing to clean teeth that are surrounded by deep pockets. They may need surgical treatment to gain access to all the tooth surfaces for a more thorough cleaning. This surgical procedure is called flap surgery and can be combined with a pocket-reduction surgery to make the areas around the teeth easier for the patient to clean with brushing and flossing. This procedure consists of numbing the gums and then lifting them back to expose and clean the teeth and sometimes reshape the bone. The gums are then repositioned back around the teeth so there aren't the deep pockets that existed before treatment. Soft-tissue grafts cover up root surfaces exposed by receding gums. This can help eliminate sensitive teeth and protect the root surfaces that are softer and more difficult to clean. Laser therapy is another treatment to help increase gum health. The gum pocket is treated with a soft-tissue laser to eliminate the harmful bacteria deep in the periodontal pockets, remove unhealthy tissue, and help stimulate healing. Periodontists are dentists who have completed additional training in periodontology after dental school. They are focused entirely on the evaluation, diagnosis, and treatment of disease of the gum and bone surrounding the teeth. In advanced cases of gingivitis or periodontitis, a general dentist may recommend a gross debridement of superficial plaque and tartar and will then refer the affected patient to a periodontist for evaluation. Periodontists may recommend a variety of nonsurgical or surgical procedures to help stabilize the gum condition. 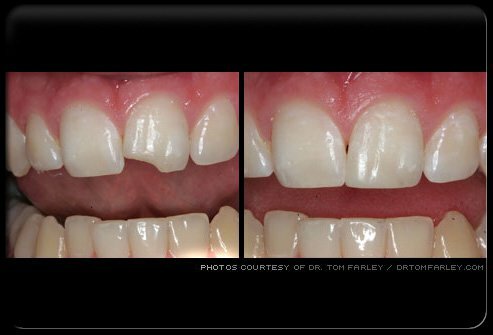 Periodontists are also very skilled at performing treatments of other conditions of the gums and bone including gum and bone grafts, functional and esthetic gingivectomy, gingivoplasty, implants, and crown lengthening. Because gum disease in its advanced stages is the primary cause of tooth loss today, periodontists are especially important in working to treat a difficult disease. Chlorhexidine gluconate (Peridex) is an antiseptic mouthwash that can be used under the direction of a dentist to help reduce the bacteria that cause gum disease. Additionally, antibiotic therapy can be combined in various ways to help treat periodontitis. Pellets or gels like PerioChip that contain the chlorhexidine or doxycycline can be placed in deep gum pockets after deep scaling and root planing to kill stubborn bacteria and reduce the size of periodontal pockets. These modes of delivering medications are very effective because the agent is released slowly over the course of about seven days. Additional medications such as Xylocaine and NSAIDs may be needed for pain control during and after treatment. Warm saltwater rinses can help to soothe sore mouth tissue. Baking soda diluted in water can be used to rinse and brush the teeth and gumline to help neutralize the acids that irritate the gum tissue. Oil pulling (swishing or rinsing): There has been little evidence to prove that sesame oil or coconut oil can help reduce bacteria that cause gum disease, but has been become a recent trend. On a case by case basis, people have noticed improvement with this treatment. In addition, see the section on prevention of gum disease and on toothpaste. As long as the causes of early stage gum disease (gingivitis) are correctly identified and the patient is persistent in improving their oral hygiene and seeking necessary treatment, gum disease can be reversible. The prognosis is best when treatment is obtained in early stages of gingivitis. At this stage, the affected person usually just needs a professional dental cleaning and more thorough brushing and flossing to reverse the disease. Once the bacteria spreads to the bones in periodontitis, irreversible changes can start to take place with loss of attachment of the gums and bone loss. Therefore, it is very important to catch and treat gum disease as early as possible. There have been many attempts to understand the link between gum disease and other systemic health problems such as heart disease, stroke, and Alzheimer's disease. Comparing the bacteria that cause dental plaque with the bacteria involved in heart disease suggests a correlation between gum disease and heart disease, but researchers have been unable to establish a cause and effect relationship. According to the American Academy of Periodontology, recent studies have shown that periodontal disease bacteria may play a role in the pathology of Alzheimer's disease. These types of relationships are difficult to prove or disprove, so it is fair to assume that aiming for a life free of gum disease will only help in leading a generally healthier life. While it may be hard to prove what health problems are directly caused by gum disease, it is known that certain health problems can cause gum disease. If there are any sudden changes to a person's medical condition, they should ask their primary care provider or dentist if there might be any effects on oral health. Healthy gums can quickly become threatened when the body's overall health diminishes or changes for any reason. A child should start having his or her teeth brushed with a pea-sized amount of toothpaste beginning at 12 months of age. Emphasis should be placed on brushing all surfaces of the teeth including the gum line. As soon as the gaps between the teeth start to close, it is important to start flossing. At the beginning, the parents should establish a routine to brush the teeth so the child can get used to it. As soon as the child is able, the brushing and flossing should be passed over to him or her and monitored by the parent to ensure good thorough technique and consistency. According to the American Dental Association, a child should get regular dental visits starting at about one year of age. Abiding by these guidelines will help prevent and treat gum disease in most children. Many women who become pregnant think that they should avoid the dentist to keep their pregnancy safe, but they shouldn't miss their professional cleanings as long as they feel strong and comfortable enough. During pregnancy, women are at risk of developing pregnancy gingivitis. Because of the increase in hormones that occurs with pregnancy, the gum tissues are more susceptible to attack from bacteria and other pathogens. Pregnant women will often notice an increase in swollen, bleeding gums even if their oral hygiene has remained consistent. It may be necessary to get dental cleanings more often than usual during pregnancy to help combat this increased risk. Prevention of gingivitis and periodontitis is very simple in most cases. Gum disease is best prevented through proper plaque control. This involves brushing to remove plaque from the outer surfaces of the teeth and flossing to remove food particles and plaque from in between the teeth. Electronic toothbrushes tend to make it easier to remove plaque from some of the harder to reach areas of the mouth. Using a mouthwash after brushing and flossing can also help by reducing the bacteria that cause gingivitis. 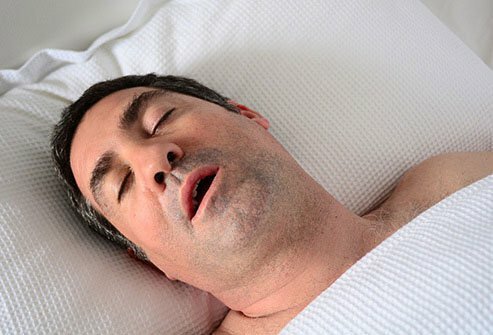 Sleep/stress: The immune system is very important in controlling disease, and getting adequate sleep and reducing stress will help the body fight gum disease, too. Stop smoking: Smokers are much more likely to develop gingivitis and periodontitis. Avoiding tobacco should be a primary goal to achieve healthy gums. Diet: Limiting the frequency of plaque-causing sugars and carbohydrates will help limit plaque. Eating a well-balanced diet will help keep the body's immune system healthy and ready to fight infection. The goal of toothbrushing is to remove plaque on the teeth that will harbor bacteria and cause gum disease and tooth decay. Just about any toothpaste when used with consistent thorough brushing habits will accomplish this goal. Fluoride in toothpaste, particularly stannous fluoride, helps to kill mouth bacteria. There are other ingredients in toothpastes that help remove plaque more effectively and help keep plaque off the teeth after they have been brushed. The abrasive agents in toothpaste such as silicates and calcium carbonates help remove sticky plaque. Sodium lauryl sulfate (SLS) is a detergent in toothpaste that causes the foaming effect of toothpastes. Toothpastes vary in the amount of SLS they contain; a high concentration of SLS can cause problems for patients who have dry mouth or low saliva flow. Some toothpastes include plaque-control agents such as pyrophosphates and zinc citrate that prevent plaque from sticking to the teeth after they've been brushed. Using a toothpaste that contains any combination of these ingredients will increase the effectiveness of oral hygiene. While most of the factors that lead to gingivitis and periodontal disease are dependent on the individual, there has been some limited scientific evidence to affirm that gingivitis and periodontitis-causing bacteria can be passed down from parents to children and between couples. Asikainan, S., et al. "Can one acquire periodontal bacteria and periodontitis from a family member?" The Journal of the American Dental Association 128.9 (1997): 1263-1271. Atkinson, Jane C., Anne O'Connell, and Doron Aframian. "Oral Manifestations of Primary Immunological Diseases." The Journal of the American Dental Association 131.3 (2000): 345-356. Charles, Christine H., et al. "Comparative efficacy of an antiseptic mouthrinse and an antiplaque/antigingivitis dentifrice: A six-month clinical trial." The Journal of the American Dental Association 132.5 (2001): p670-675. Demmer, Ryan T. and Moise Desvarieux. "Periodontal infections and cardiovascular disease: the heart of the matter." The Journal of the American Dental Association 137 Suppl (2006): 14S-20S. "Gum Disease." Mouth Healthy. American Dental Association. Lazarchik, David A., and B. Van Haywood. "Use of Tray-Applied 10 Percent Carbamide Peroxide Gels for Improving Oral Health in Patients With Special-Care Needs." The Journal of the American Dental Association 141.6 (2010): 639-646. Meraw, S. J. and C. M. Reeve. "A case report: Treating localized refractory idiopathic gingivitis with Superoxol." The Journal of the American Dental Association 129.4 (1998): 470-472. Neville, Brad W., et al. Oral and Maxillofacial Pathology. 2nd ed. Saunders, 2002. "Periodontal Disease Bacteria Linked to Alzheimer's Disease." Perio.org. January 2019. <https://www.perio.org/consumer/alzheimers-and-periodontal-disease>. Snider, J. "Green tea may promote periodontal health." The Journal of the American Dental Association 140.7 (2009) 838. Stephen, James M. "Gingivitis." Medscape.com. Dec. 31, 2014. <http://emedicine.medscape.com/article/763801-overview>.